Great post, it's nice to see another WoW player who plays it like a normal videogame, not using it like a drug lol. Anyway, 10 months ain't bad, but if you're tryin to get 80 fast with your next character you should def check out the zygor guide. A wow player at some point reaches a certain level in which they are considered elite. However not all may seem to experience this. 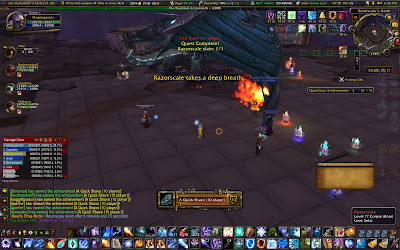 I always follow this wow leveling guide to attain my desired level. And this really works! Very good tips, when I have dinged 80 for the first time, I would kill for a post like this. :) Well we kinda figured out what to do in the end, but some of the things are still new to me.